ellehermansen: Best How-To Fishtail Braid Tutorial! Best How-To Fishtail Braid Tutorial! I posted a photo today of my hair via Instagram, as I have tried and finally had some success! 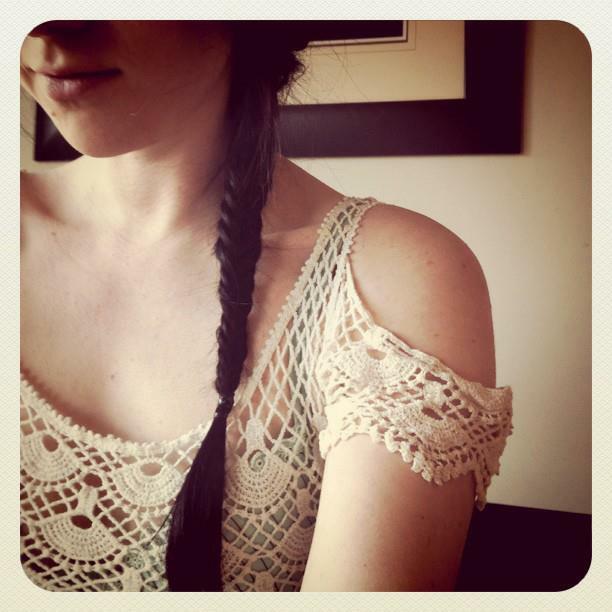 I've tried many, many times to do fishtail braids. I would get half-way and end up with 3 pieces, resulting in a regular braid near the end. Instruction videos have gotten a lot better on YouTube, and I have to give this girl credit for making it so much more easier to understand and explain! This video makes it super easy for us ladies!